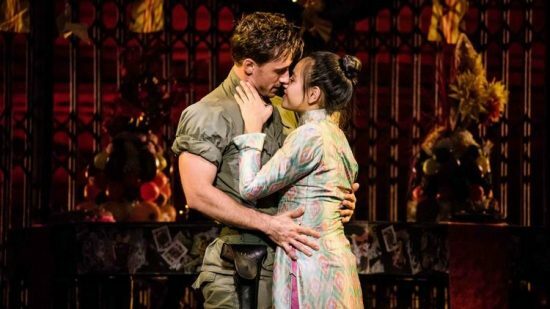 ‘Miss Saigon’s’ heat is on! 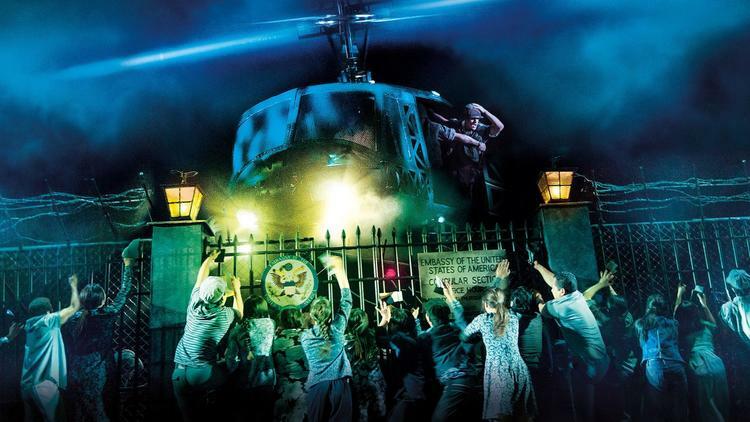 After its 25th anniversary revival on Broadway in 2017, “Miss Saigon” is reappearing this year on a national tour. Directed by Laurence Connor, the music is by Claude-Michel Schönberg and Alain Boublil, with lyrics by Boublil and Richard Maltby, Jr. Loosely based on Puccini’s opera, “Madame Butterfly,” “Miss Saigon” follows the final days of the Vietnam War. The first lead character that opens the show is The Engineer played by Red Concepcion. The Engineer runs Dreamland, a steamy bar and brothel in Saigon that’s packed with beautiful Vietnamese women whom he has lined up for American soldiers. A recently orphaned 17-year-old virgin named Kim, played by Emily Bautista, tries to avoid the GIs who visit the bar, but The Engineer pulls Kim by the hair, verbally abuses her, and hooks her up with an American GI, Chris, played by Anthony Festa. Not only is Chris attracted to Kim, he’s a decent man who also wants to protect her from the atrocity of war that surrounds them. After spending their first night together, they both fall in love. But when Saigon falls in 1975, Chris is forced to leave the country without her. The audience eventually learns that Kim has given birth to Chris’s child, Tam, for whom she sacrifices everything to ensure their son has the life she wants for him. Although Kim awaits Chris’s return for three years, Chris has found a new wife in America, Ellen, played by Stacie Bono. Kim and Ellen meet each other when Chris and his wife travel to Vietnam after he discovers that he has a son. The couple brings Tam with them to raise him in America for a new life. Over 40 marvelous actors with their impeccable singing and dancing, keep the audience on the edge of their seats with songs like “The Heat is On in Saigon,” “Sun and Moon,” “I’d Give My Life for You” along with The Engineer’s rendition of ‘The American Dream,’ which is what he imagines his life to be in America. Of course, there is also the famed centerpiece of the play: its helicopter scene. Then there are the real photos of orphaned war-borne American/Asian children displayed on a screen that bring the musical to life. DETAILS: “Miss Saigon” is at Broadway In Chicago’s Cadillac Palace Theatre, 151 West Randolph St, through Dec. 8, 2018. Running time: 2 hours, 40 min., with one intermission. For tickets and other information, call (312) 977-1710 or visit BroadwayInhChicago.